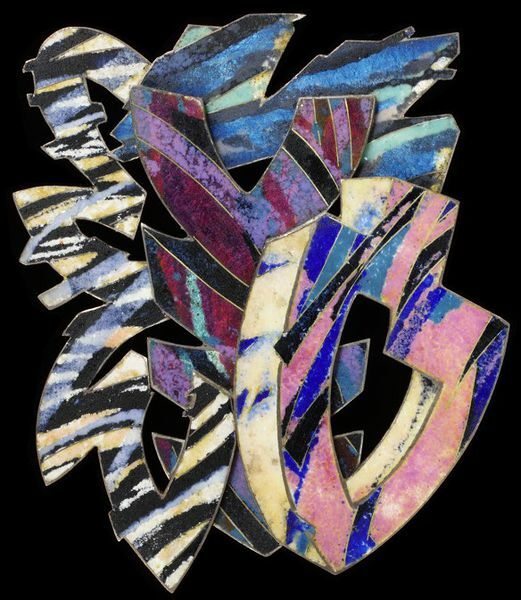 In the 1980s jewellers began to explore the effects possible with enamels. They were seeking a fresh approach to colour but preferred to work with traditional rather than new materials creating a truly unique style and technique. Ros Conway met the painter Hugh O'Donnell with whom she collaborated for several years at the exhibition 'British Art Now' in New York in 1980. In her interpretations of Hugh O'Donnell's paintings and collages she moved from working in different coloured golds to the wider palette of enamels and a more painterly technique. Ros Conway studied at Central School of Art and Design and the Royal College of Art. 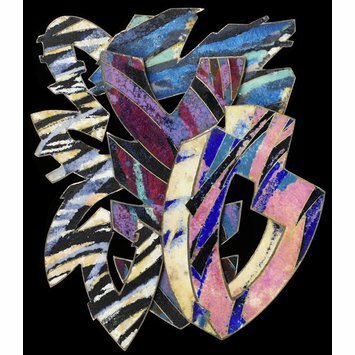 In 1980 the Crafts Council funded her studies with Jane Short MBE, from whom she gained the skills and fascination for enamels. Today she has taken enamelling a step further and works in pâte de verre. The V&A held an exhibition of her work in 1984. 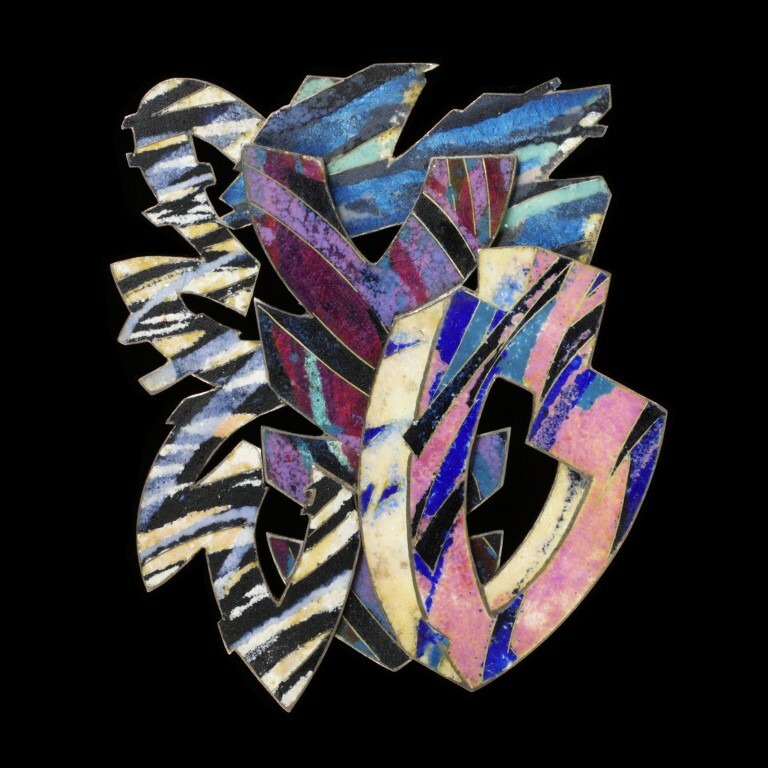 Abstract brooch of enamelled silver with fine gold wires, and a gold pin on the reverse. The brooch is made in three parts which were enamelled then screwed together at the back.